Solar powered generation of electricity seems to make a lot of sense. After all, sunshine is free and isn’t going away anytime soon. Converting that extra sunlight to electricity seems much better than burning coal, gas, oil or uranium, at least to me. 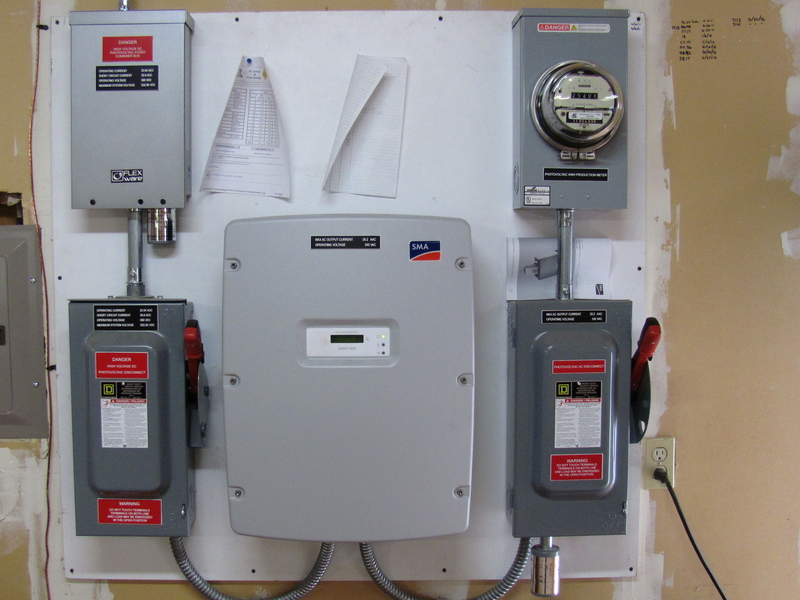 Oregon is one of the leading states for the manufacture of solar panels and components. The Solarworld Portland site has the largest capacity of any facility in the U.S., although recently they’ve laid off workers due to competition from China. Sanyo’s manufacturing facility in Salem is another large producer of solar components. Bend’s PV Powered (Advanced Energy Co.) also produces solar components. And, there’s even been talk, from time to time, of turning Eugene’s old Hynix chip foundry into a solar producer, although this hasn’t come to fruition. With our oft cloudy weather, the Willamette Valley isn’t the first place that jumps to mind for solar power generation. However, it’s more feasible than you think. We’re apparently capable of generating solar electricity on the order of 4 kWh/m2 per day, which isn’t too bad. Photovoltaics (PV) are the most common method of producing electricity, at least on a small, end-user application. These use solar cells which give off DC that is then changed (inverted) to AC that powers the home. When the sun is out PV does it’s thing and produces electricity, which is slick. So, why aren’t there solar cells on every house? Cost is probably the biggest factor. Often a rather large initial investment is required, although this is frequently offset by tax credits, and other programs. There can be long payback periods for the investment, and this is a deterrent to some. However, solar power does increases the value of a home. How does it work in the real world? Pretty well. This is a PV array located in the Mohawk Valley, Oregon. It provides about 85% of the annual electricity for the household. I, for one, would like to have my electricity bills produced by 85%. 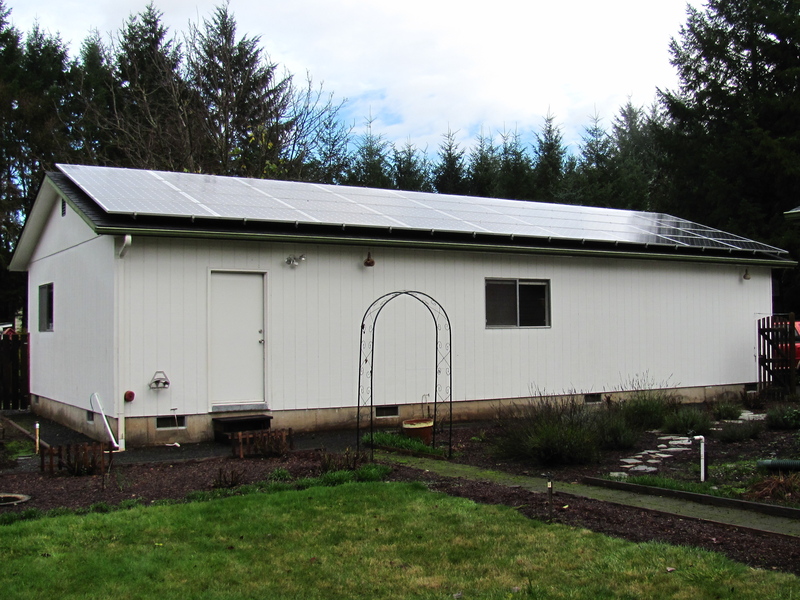 This entry was posted in Country Property Lane County Oregon, Home Improvement, Real Estate and tagged mohawk valley oregon real estate, oregon solar electricity, Residential solar power. Bookmark the permalink.